The new strategy of the giant chip maker Intel Corporation that is gearing its business to the three new territories included Internet devices (netbook/notebook/smart-phone); embedded system; and consumer electronic (CE) will open the huge opportunities for Thai software development. Intel aims to create the significant impact in these three market areas within 2012. At that time, Intel will produce and shift its smaller CPU to provide computing power to these devices in all three segments. Under Intel’s roadmap, it is to extend Intel architecture into three market segments by deliver high volume of mobile Internet device (MID) and smart phone by 2012. In embedded system and consumer electronics markets, Intel also aims to play an important role by providing Intel architectures to accelerate the embedded transformation with intelligent architecture (AI) and will shift high volume of Intel computing platform into CE devices. The move of Intel is significantly open up rooms for software companies to easily develop applications to plug-in Intel’s computing platform equipped in these three new areas. 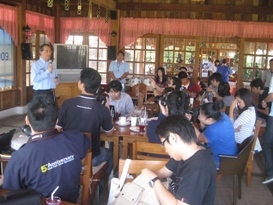 Intel Microelectronics (Thailand)’s country manager Accharas Ouysinprasert said that the move of Intel offers opportunities for software developers by allow them to easier develop application software which run on Intel computing platform on PC and laptop devices, and then port these applications to run onto smaller devices that required a little bit of customizations. “This move will broaden market landscape for software developers and to allow them to improve their time-to-market when they develop software for other devices such the smart phone and CE devices,” said Accharas. Intel Atom processor is expected to play an important role when Intel entering into these three markets. The introduction of the Intel Atom processor makes the x86 architecture become a viable contender as a low-power embedded platform. Currently, the x86 architecture is ubiquitous among desktop and notebook computers, as well as a growing majority among servers and workstations. “A large amount of software supports the platform, including OSes such as MS-DOS, Windows, Linux, BSD, Solaris, and Mac OS X. The architecture is relatively uncommon in embedded systems, and low-cost niches such as home appliances and toys lack any significant x86 presence. This is the huge opportunities for software developers around the world including Thai developers,” said Accharas. He added that these three markets are the huge opportunities since the year 2010 due to the launch of Intel Atom II processor (the next generation of Atom platforms and formerly code-named ‘Pine Trail’) that will change the total eco-system of gadget development as it will reduce time-to-market from 1 or 2 years to be less than 6 months. “Most of time-to-market of Internet devices, smart phone, products equipped with embedded system, and CE devices are about software and application development. The come of Intel Atom II processor will help software developers reduce times of software development,” said Accharas. Meanwhile, hardware market in Thailand this year is also expected to return to normal growth at 20 per cent. Accharas added that two major factors drive IT-market growth this year are included the Intel Core i series central processing units (CPUs) – the Core i3, Core i5 and Core i7 – and Microsoft’s Windows 7, the latest version of the ubiquitous operating system. Both of them will create a big impact on the corporate and consumer IT markets. The huge IT purchases this year were expected in the corporate segment due to the change of core technologies – both operating systems and CPUs – and a rise in the “refreshment cycle”, after companies had slowed their IT-replacement programmes for two years because of the economic crisis. As well, there is a rapid increase in Internet usage, a widespread expansion of social networking and cloud computing, which is leading to big IT purchases of data centres, he said. These trends are not only occurring in the Thai market, but also throughout the world. “These factors also encourage Thailand’s IT market to grow throughout this year,’ said Accharas. “การจะไปถึงตรงจุดนั้นได้เป็นงานยากและท้าทายเพราะต้องอาศัยความร่วมมือจากทุกภาคส่วน ซึ่งธนาคารแห่งประเทศไทยจะเป็นผู้ผลักดันและสนับสนุนให้เกิดขึ้นในอนาคต” ผู้ช่วยผู้ว่าการ สายระบบข้อสนเทศ ธนาคารแห่งประเทศไทย กล่าวทิ้งท้าย…. ซึ่งข้อดีมากประการสำคัญของ Social Network Marketing คือใช้เงินน้อยแต่ใช้สมองมากเพราะฉะนั้น ข้อจำกัดเรื่องเงินทุนในการตลาดของผู้ประกอบการเอสเอ็มดีจะหมดไป อย่างไรก็ดี การตลาดจะต้องเป็นการตลาดแบบผสมผสานกนระหว่างสื่อเก่ากับสื่อใหม่ (Integrated Marketing) สำหรับศาสตร์และศิลป์ในการผสมสัดส่วนของการตลาดโดยใช้ทั้งสื่อเก่าและใหม่นั้นเป็นเรื่องของการประลองฝีมือกันระหว่างนักการตลาด ที่ต้องเข้ามาเรียนรู้และเข้าใจถึงอานุภาพและประโยชน์ที่เขาจะได้รับ หากรู้จักใช้ Social Network Marketing ให้เป็นนั่นเอง ….. Even though the software industry has been established in the country for more than a decade and there has been attempts to drive software to become one of the flagship industry that expected to generate significant revenue to the country economic, but currently, it seems this industry still not reach its mission and it going far away from being in the world software map. Software is an engine of economic growth. To help promote economic growth, the country’s policy makers have to determine policies to encourage the commercial software industry. 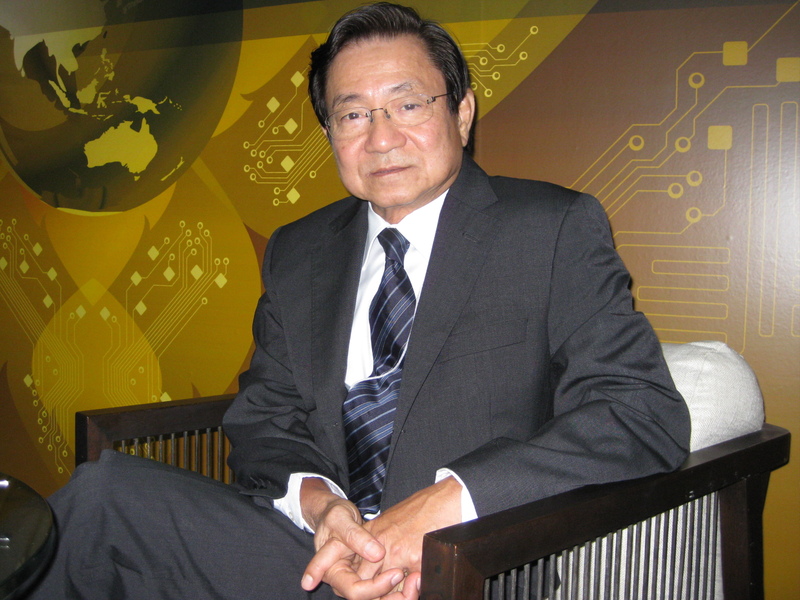 Manoo Ordeedolchest, chairman of the Board, Software Park Thailand and former president of Software Industry Promotion Agency (Sipa), said that the government policy should assist building local software industry to persuade the global investment including provision of facilities, immigration and work permit, human resource development, and promotion package. If Thailand wants to become the destination of software development, the government should provide the park facilities to welcome software companies to come in and have a place to settle down business in the country. Currently, the only facility is the Software Park located in Bangkok. It is not yet expanding to the region of the country, unless the private’s attempts to build the private software park in the north in Chiang Mai – Chiang Mai Software Technology and Outsourcing Centre – and in the south in Phuket – Software Park Phuket. Moreover, the regulation around the immigration and work permit are also the important factors, because software industry is knowledge business requires the experts from abroad to come and work in the country. Therefore, the immigration and work permit processes should be more convenient for them. Even though, there has been effort to provide such this service, but it is still in the policy level, but it is not practical when is in the operation level. “This point, the neighborhood countries are doing better than us. For Thailand, there is one-stop-service facilitate the oversea people at the first time, but when they need to renew their work permit or visa they have to show up this is quite not convenient for the foreign executive,” said Manoo. Software is the knowledge-based industry, so human recourse development is also another key point for the government concern in helping strengthen local software industry. There is unclear which organization to oversee the human resource development for software industry and where the money for this task. It seems there are organizations who take care of this matter, both the Software Industry Promotion Agency (Sipa) and the Ministry of Education, but there is vacuum situation in software human resource development. “Software is young industry that requires a lot of government support. 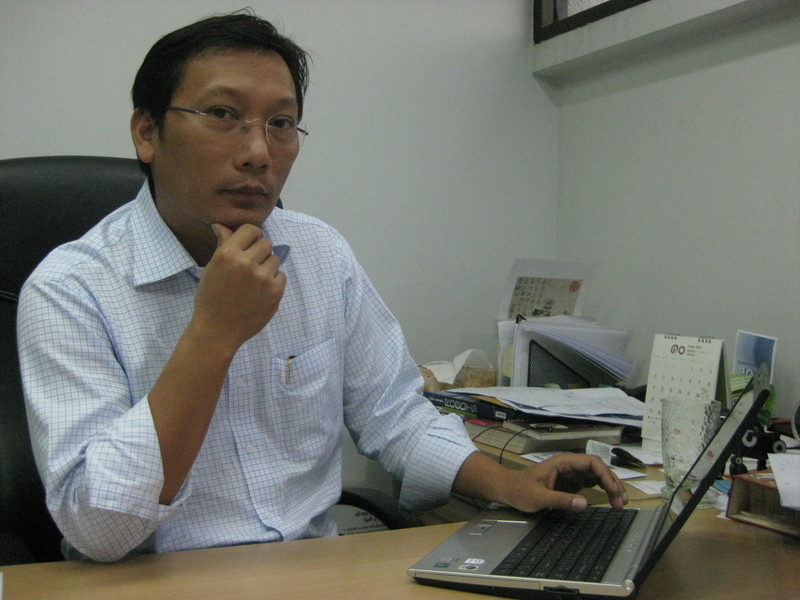 If there is not enough action in support and encouragement for software industry from the government, it is too difficult to drive software industry to become the industry significant to the country economic and difficult to persuade the big foreign investment like Intel, IBM, and Microsoft that have invested in our neighborhood countries like Vietnam and Malaysia,” said Manoo. Also, the government’s promotion packages for software industry also play an important role. At the present, it seems the promotion package is not attractive enough and it seems only Board of Investment (BoI) responsible for this stuff. The government should develop more promotion packages coming up with not only in numbers but in quality of packages. “If compare the government’s promotion package among four counties including China, Vietnam, Malaysia, and Thailand. Thailand is ranked in the forth. These countries realized that foreign investment brings investments, jobs, and technology transfers to their countries. Thailand’s distinguish promotion package is only BoI’s that provides company to wave the company’s income tax for eight years,” said Manoo. BoI has been active in providing its support and promotion package. As a result, there have been around 30 to 40 foreign software companies come in Thailand per year, but it is too small number and most of them are small business therefore it is not significant impact to drive the entire software industry as a whole and it also is not impact tot the country’s economy as well. Manoo recommended that the priority is to develop the retraining programs. As around 80 per cent of total 40,000 programmers are familiar with the traditional technologies that more costly than using the new software technologies, which reduces cost of software usage to more than 50 per cent. Cost of retraining one programmer is around Bt200,000. Therefore, in order to help local software companies to get improve their software people the government should help them easily access the sources of funds. “Angle fund is a must for building up the country’s software industry. It is so difficult to execute this in Thailand but we need to change point of view on this free condition of fund. If around 50 projects received angle fund were success and other 50 per cent were failure, it is success in term of angle fund initiative because even only 50 per cent success but these 50 per cent will create job opportunities for more other people,” said Manoo. He insisted that if there is not action in these areas, Thailand will not on the world software map for sure. Thailand’s software industry will not reach its goal but just become only family-based-industry and will be not significant to the country’s economic. However, at the present, the paradigm shift in software technology will help open more opportunities for Thailand’s software industry, he said. The software paradigm shift helps Thai software houses to have more chances to develop their niche software with less cost and shorter of time. There are three main important technologies included service oriented architecture (SOA), web2.0, and open source technology. “Challenge is that how we can retrain our people on these new paradigms of software development effectively,” said Manoo. There is a good sign from the country’s second ICT master plan – for 2009 to 2013 that aims to turn the country become ‘Smart Thailand’ equipped with ‘Smart People’ and a ‘Smart Government’, under the plan, the first strategy – the Information Literacy strategy – will focus on human-resource development. Moreover, it is to improve the country’s ICT readiness so it is better positioned on the world stage and to increase the contribution of the ICT industry to the country’s gross domestic product (GDP) to 20 per cent. It also will encourage Thailand’s export of niche software, increasing its contribution to about 30 per cent of the total software revenue. By the end of 2013, ICT industry special focus on the software industry will become a major income generator for the country with the software industry’s worth of Bt150 billion, of which about 50 per cent would come from local software development. “ปัจจัยของความสำเร็จนั้นมีหลายอย่าง ทั้งตัวบริษัทซอฟต์แวร์ สินค้า การศึกษาตลาด และการเตรียมความพร้อมในการเข้าตลาด แต่ทั้งนี้ทั้งนั้นแม้ว่าเราจะใช้รูปแบบการทำตลาดเดียวกันในทุกตลาด แต่ว่าในแต่ละตลาดทั้ง 3 ประเทศที่เราไปสัมผัสมานั้น มีความแตกต่างในรายละเอียดของการเข้าทำตลาด ซึ่งเราได้เก็บสะสมประสบการณ์มาเรื่อยๆ เรียนรู้จากข้อผิดพลาดเล็กๆ น้อยๆ และนำมาปรับปรุงแก้ไข เราค่อยๆ สะสมองค์ความรู้ในการทำตลาดซอฟต์แวร์ในต่างประเทศ ซึ่งตรงนี้มีมูลค่าสูงกว่ามูลค่าของเม็ดเงินที่เราขายของได้จริง เพราะเราสามารถนำองค์ความรู้นี้มาถ่ายทอดและขยายผลให้กับบริษัทซอฟต์แวร์ไทยอีกเป็นจำนวนมาก” เฉลิมพลกล่าวทิ้งท้าย….